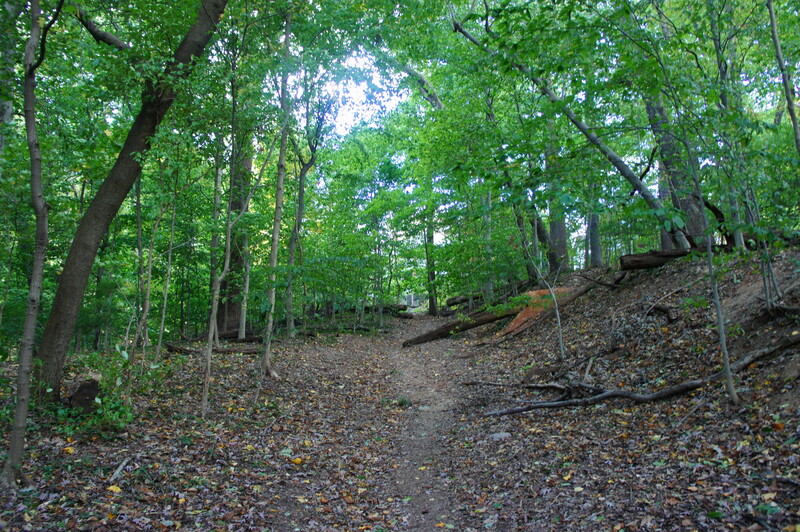 The Rosemont Loop in Washington, DC’s Rock Creek Park comes from the annals of hiking obscura: the hike rarely appears on maps or even on the Internet. Leaving no stone unturned, however, those in search of complete mastery of Rock Creek Park can try this leafy and pleasant walk, wedged in a small strip of woods between Beach Drive and the Mount Pleasant neighborhood in the heart of DC. 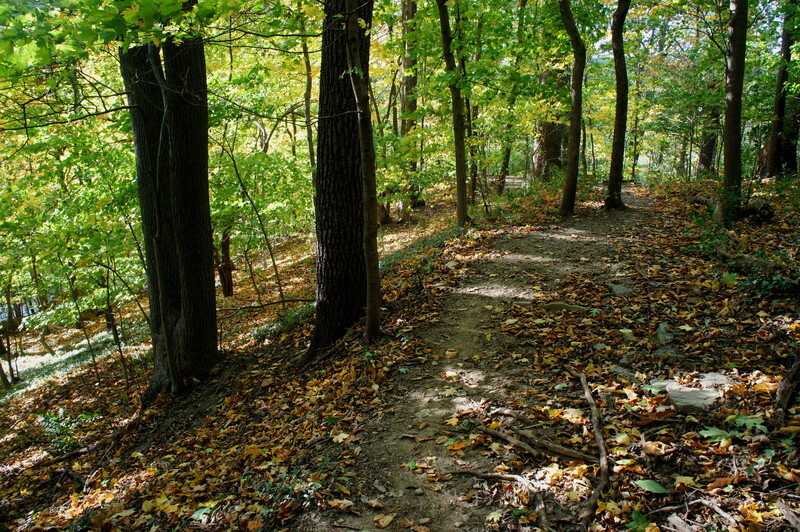 Like most hikes in Rock Creek Park, the Rosemont Loop offers quiet serenity, a break from the raucous urban grid. Beginning from the end of Rosemont Avenue, bear left on the dirt track heading into the park. Quickly the sight of houses is replaced with that of towering hickories and oaks and beech trees. Come to the first, unmarked fork after around 70 yards. Here a dusty trail drops sharply down to the right into a woody gully; stay left on the rambling and faded path, which skirts the edge of ravine in the shadow of the Rosemount Center up the hillside to the southeast. 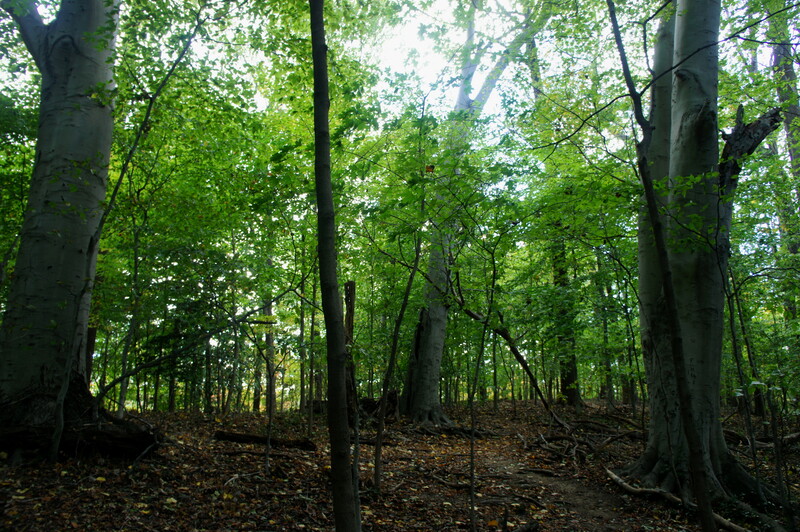 At 1/10 mile, pass a very large poplar on the left, then weave between three stout beech trees as the path bears west. Riding the top of a ridgeline, the trail—now much easier to follow—descends to a very rudimentary bench on the right, then drops again with Rock Creek, Beach Drive, and Klingle Road in sight down below. At 2/10 mile, the trail rounds a sharp bend and heads east, paralleling Beach Drive. 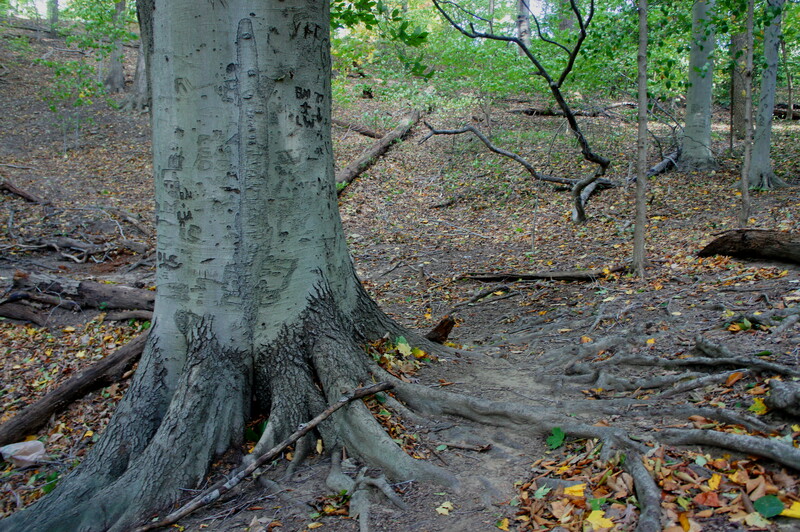 Minutes later, the Rosemont Loop drops to a four-way junction marked by another mammoth beech tree with exposed roots. Head straight as the trail hugs the hillside and bears northeast. The route splits at 0.35 miles. Bear left, weaving amid the trees to reach a furrowed ravine at 4/10 mile, where the trail forks again. This time head right, heading straight up the wide gully to Pierce Mill Road. Just before the trail meets the road, head left and follow the dusty path for another 50 yards back to Rosemont Avenue. 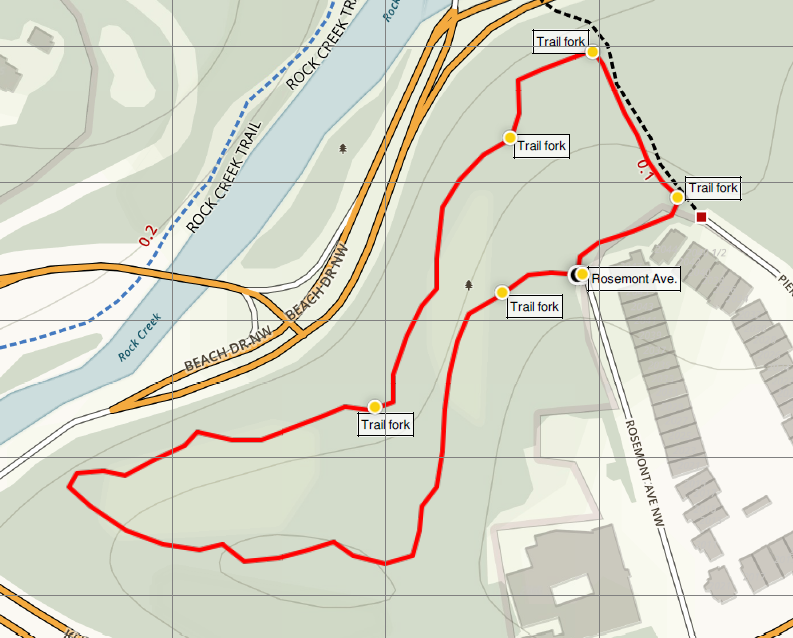 Short and sweet, this circuit hike should take no more than a half-hour. Up the ravine to Pierce Mill Rd. This entry was posted in District of Columbia, Easy Hikes, Rock Creek Park and tagged loop hike, Mount Pleasant, Rock Creek Park, Rosemont Loop, Washington DC. Bookmark the permalink.